Company Director John Waters is a fully qualified Electrical Technician with over 30 years experience as an electrician working in domestic, commercial and industrial settings. 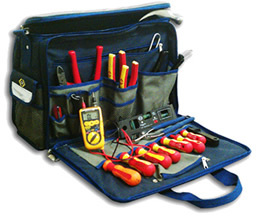 John founded Electrical Building Solutions to provide a company that offers a complete electrical package, able to carry out large or small projects with friendly and personal service. From new build and extensions to upgrades and redesigns, EBS will help you tailor your installation to suit your individual needs, visiting as often as necessary to ensure the project is hassle-free. 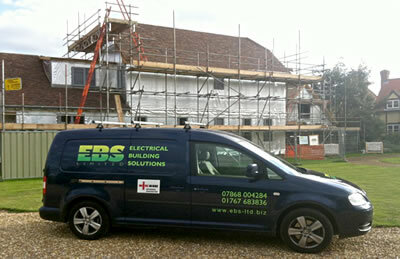 Centrally placed in Sandy, Bedfordshire, distance is no problem for EBS who are happy to travel as necessary. 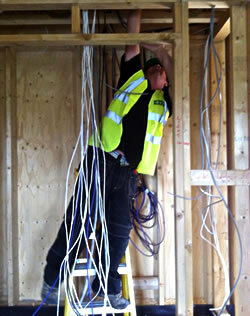 As approved NICEIC contractors, all our work is carried out to stringent industry regulations including BS7671. We guarantee our workmanship for twelve months.